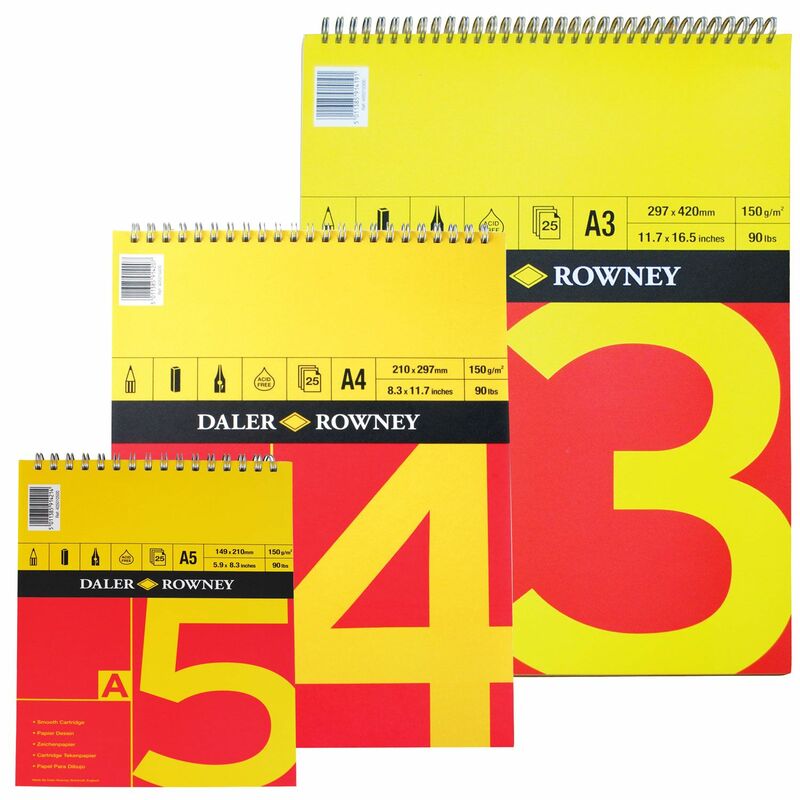 Each pad contains 25 sheets of 150gsm cartridge paper. 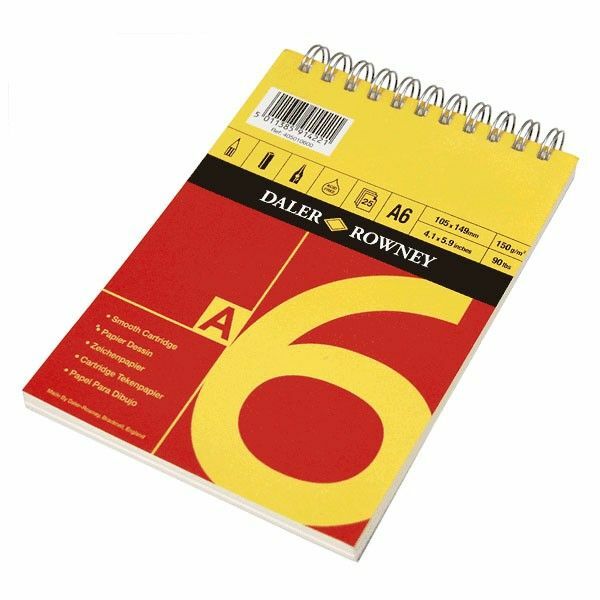 These high quality spiral bound Daler Rowney Red & Yellow Sketch Pads are an all purpose pad containing 150gsm paper with a fine smooth texture. Ideal for sketching and drawing with pencils, pastel and pens.